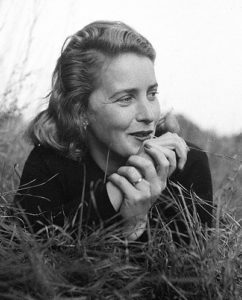 Margaret Wise Brown (May 23, 1910 – November 13, 1952) was a prolific American author and editor of children’s books, best known for Goodnight Moon (1947) and The Runaway Bunny (1942). She grew up in the Greenpoint neighborhood of Brooklyn, the middle of three children whose well-to-do parents made no secret of their unhappy marriage. Margaret was an imaginative child who loved adventure and the outdoors. She had more than one hundred books published during her lifetime and left behind a trove of unpublished works found after her death. 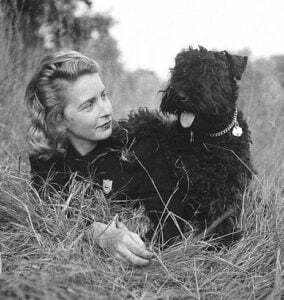 The word “prolific” seems almost inadequate to describe Margaret Wise Brown’s output. 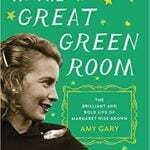 What she produced was innovative and fresh, making her one of the driving forces behind the mid-twentieth century revolution in children’s book publishing — not only as a writer, but as an editor. 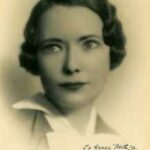 Margaret graduated from Hollins College in Virginia in 1932 with a B.A. in English. She began teaching at the progressive Bank Street School in New York City, where she helped shape curriculum. Within a few years began writing books for children. She was determined to create stories that rose above bland sentimentality and portrayed girls as equals to boys. Margaret was a dreamer and dawdler in the best senses of the words. Even for the simplest of tales, she spend time researching her subjects, from the smallest flower on the ground to the clouds in the sky. Her aim was to capture a child’s sense of awe as he or she discovered the world. One of Margaret’s literary influences was Gertrude Stein. In fact, when she herself became an editor, she recruited Ms. Stein to write The World is Round. Margaret wasn’t herself an illustrator, but worked with some of the best of the era. Clement Hurd did the art for Good Night Moon and Runaway Bunny, among others. She also enjoyed working with Leonard Weisgard, who worked with her on The Noisy Book series and The Important Book. 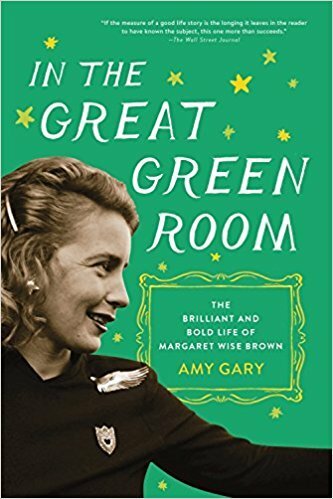 A contemporary of Ludwig Bemelmans, Robert McCloskey, Virginia Lee Burton, and Dr. Seuss, Margaret Wise Brown was one of the central figures of a period now considered the golden age of the American picture book, the years spanning the post-Depression thirties and the postwar baby boom forties and fifties. Steeped in the moderns and trained Lucy Sprague Mitchell’s progressive Bank Street school, she incorporated insights from these and other vital contemporary sources into a tireless personal campaign to make the picture book new. For a time she was a highly innovative juvenile book editor, and throughout her career she played impresario to the entire field, taking pleasure in discovering or furthering the careers of illustrators and writers. 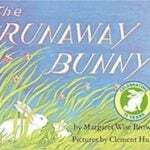 As she became increasingly successful, she used her growing influence to fight for juvenile authors and illustrators rights in their dealings with publishers. Widely respected by her colleagues, she lived see her books become extremely popular. She lived flamboyantly, like to say she dreamt her books (sometimes, apparently, she did). But there was no dark secret to her death; she died of a blood clot following a routine operation. Margaret, always something of a fatalist, it that often remarked the becoming a children’s author had been an accident of sorts. Her early death, sad as it was, simply happened. Margaret had a complex and turbulent love life. 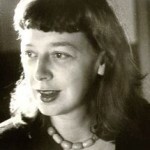 In contrast to her forthright nature as a creator and editor of children’s books, in her personal life she was often described as needy. She had a number of affairs and two great loves in her life. One was them was the ex-wife of actor John Barrymore, a quirky poet and performer who went by the name Michael Strange. She and Margaret had a passionate but mostly secret relationship. Michael struggled with the suicide of her adult son as well as advanced cancer, and often pushed Margaret away. Margaret was needy and intense in this relationship, and Michael was critical and disdainful of her career as a children’s book writer. Once their relationship ended, Margaret met James Stillman Rockefeller Jr., a descendant of both the Rockefeller and Carnegie dynasties. He was somewhat younger than she, and in 1952 they became engaged. Later that year, she was in Nice, France for a book tour and she died quite unexpectedly from an embolism (blood clot). 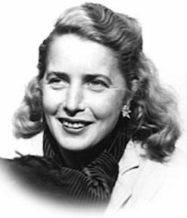 Margaret Wise Brown never had her own children, but seemed to thoroughly understand them. 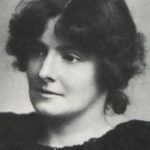 Though only 42 when she died in 1952, she left a body of over one hundred published books. 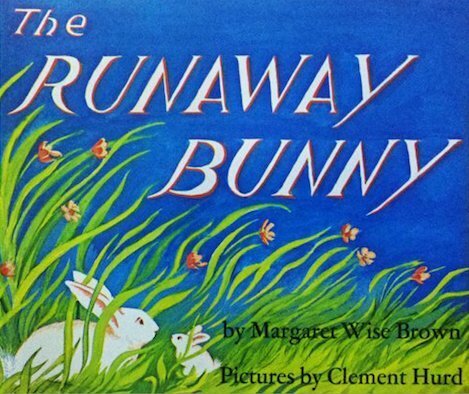 Many have remained timeless classics in the children’s book field. 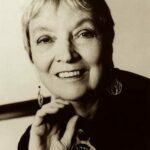 She helped pioneer the idea of combining children’s books with music, and was working on a collection of poetry when she died. “The trunk held manuscripts and ideas for books that were years ahead of their time. Books with flaps and die cuts. Books that emerged from balls and toy barns. Stories written for the backs of cereal boxes. And songs, lots of songs. I hadn’t known Margaret loved music and was hoping to write popular songs that made it onto jukeboxes. 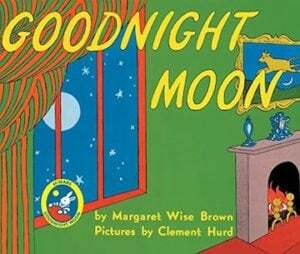 A New Phase of Goodnight Moon?